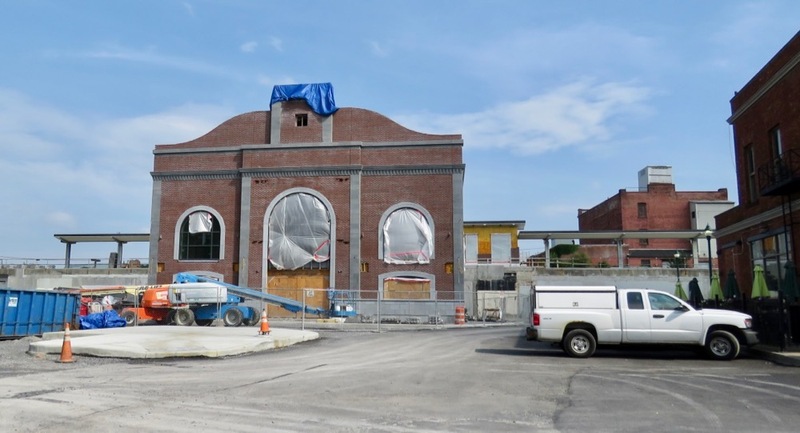 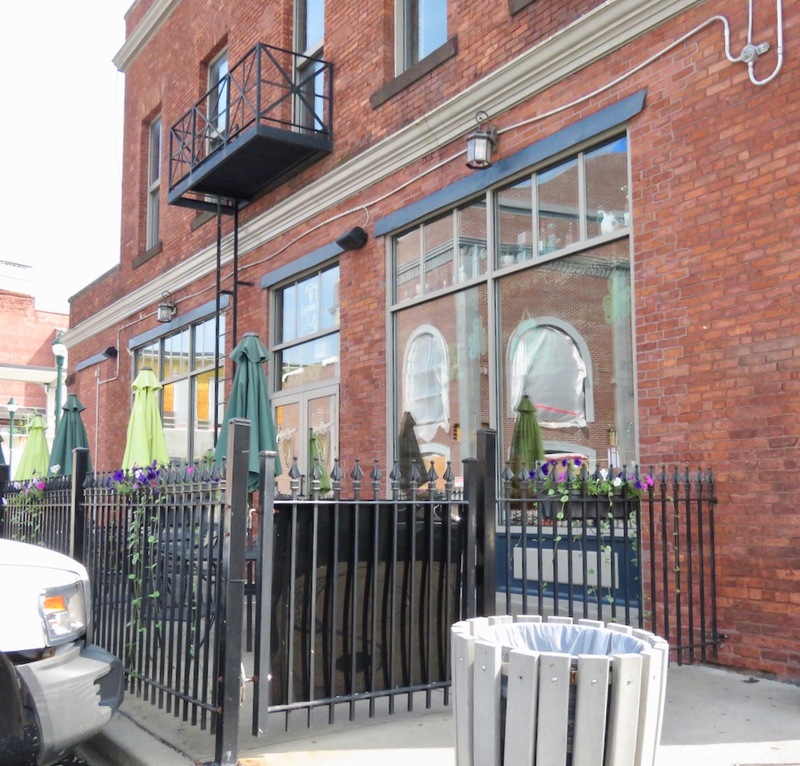 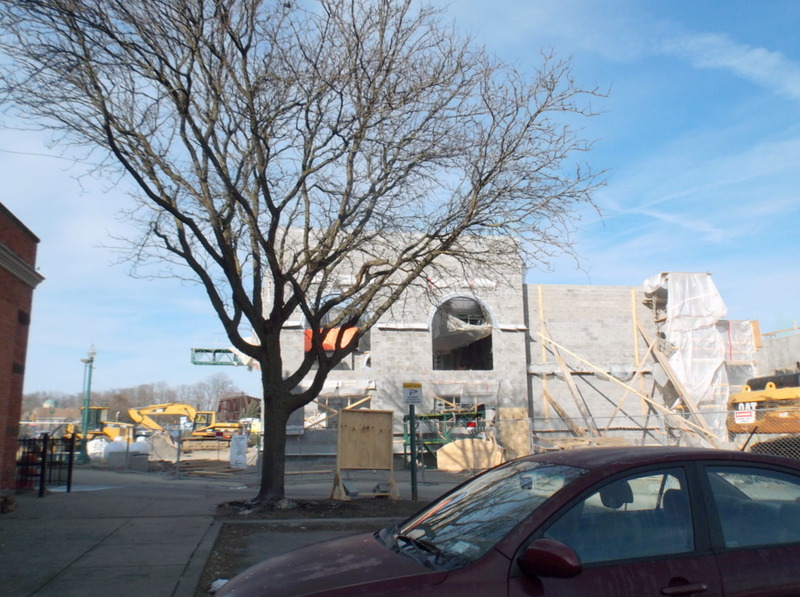 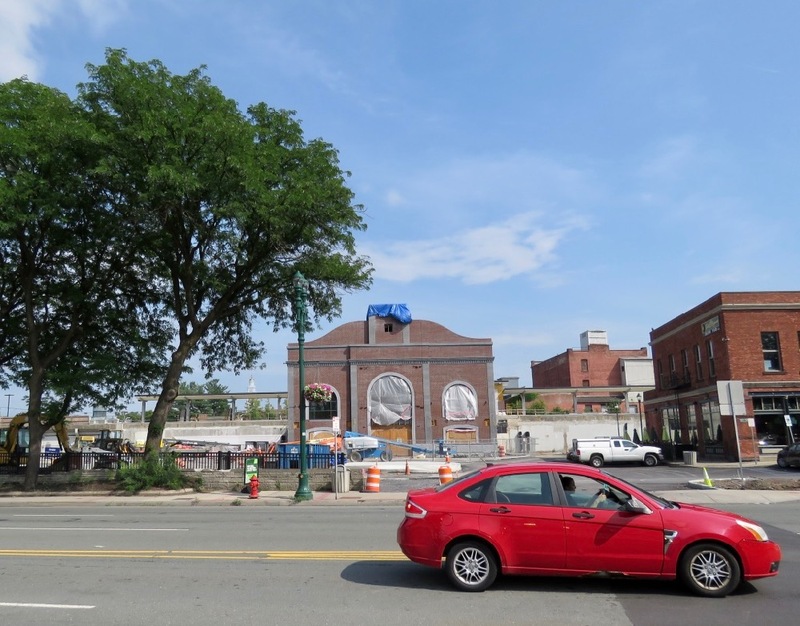 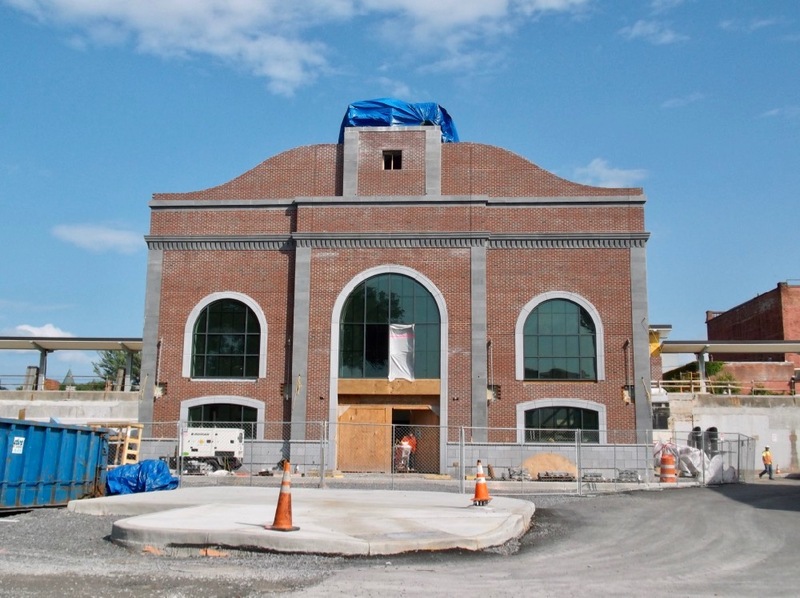 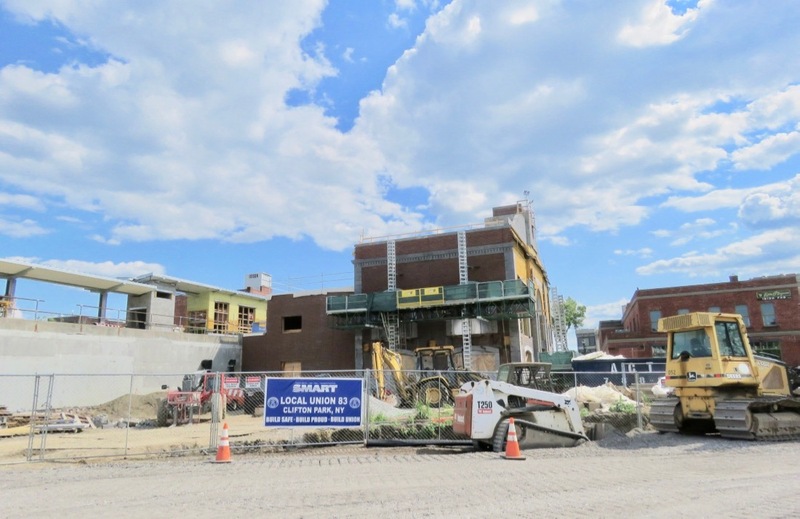 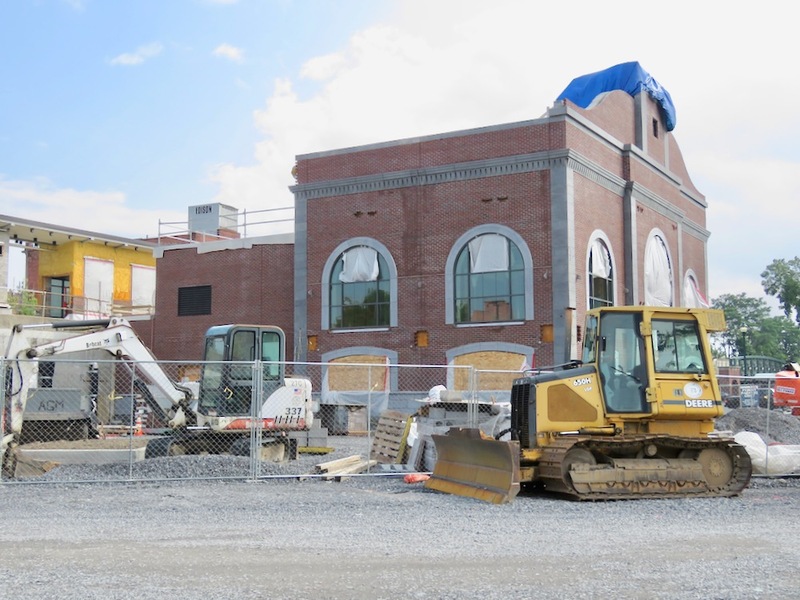 Since I visited the site of construction for the new Schenectady Amtrak Train Station in March of this year (at Liberty St. and Erie Blvd., abutting our “Wall Street”), things are chugging along. 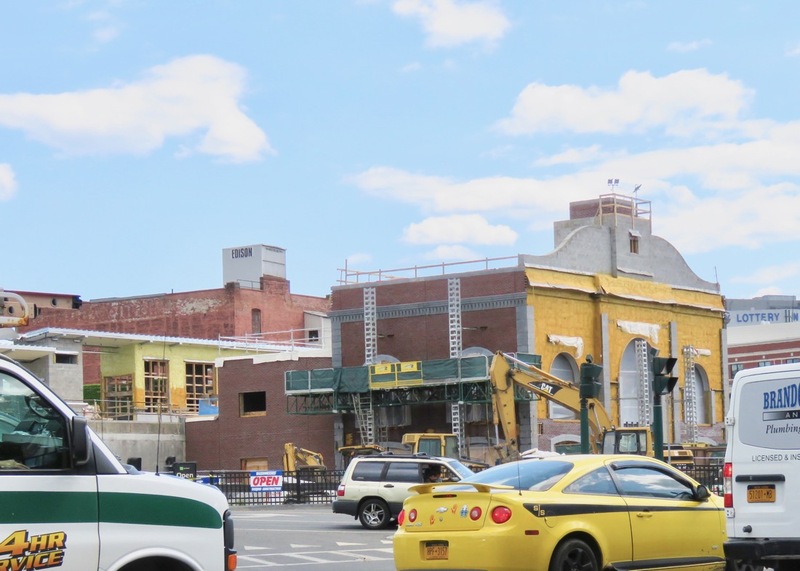 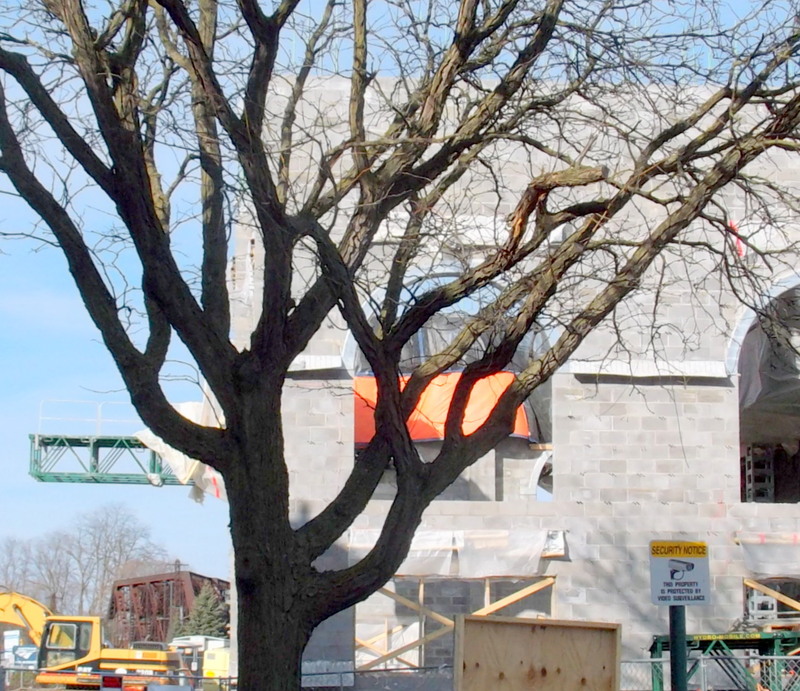 (see “progress at the new train station” March 23, 2018). 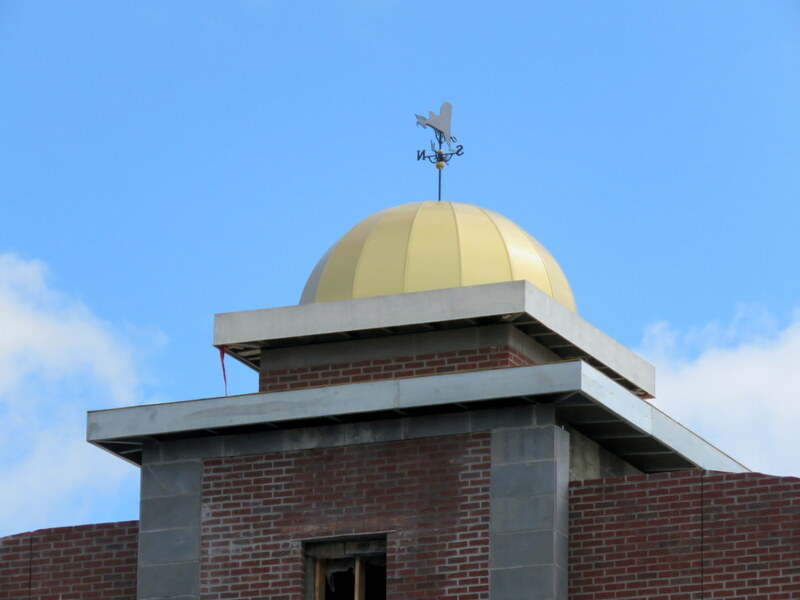 The photos above and in the Slideshow were taken on July 12 and July 17, 2018. 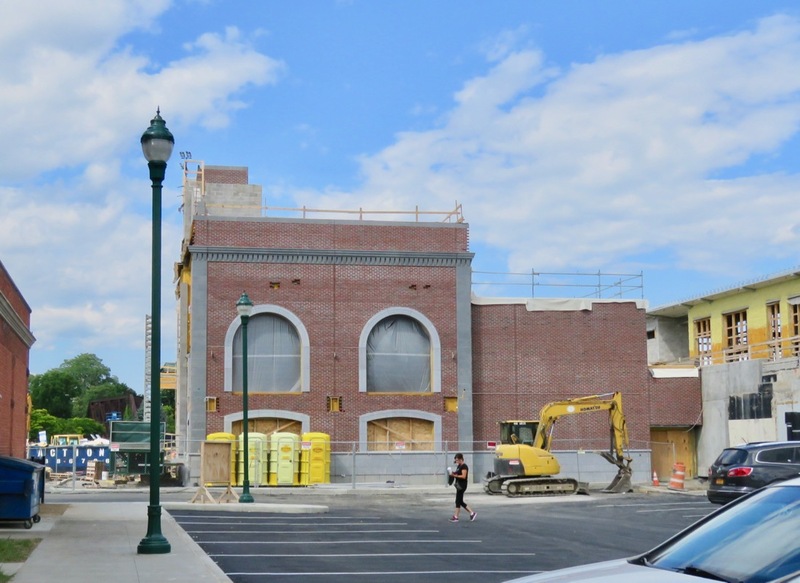 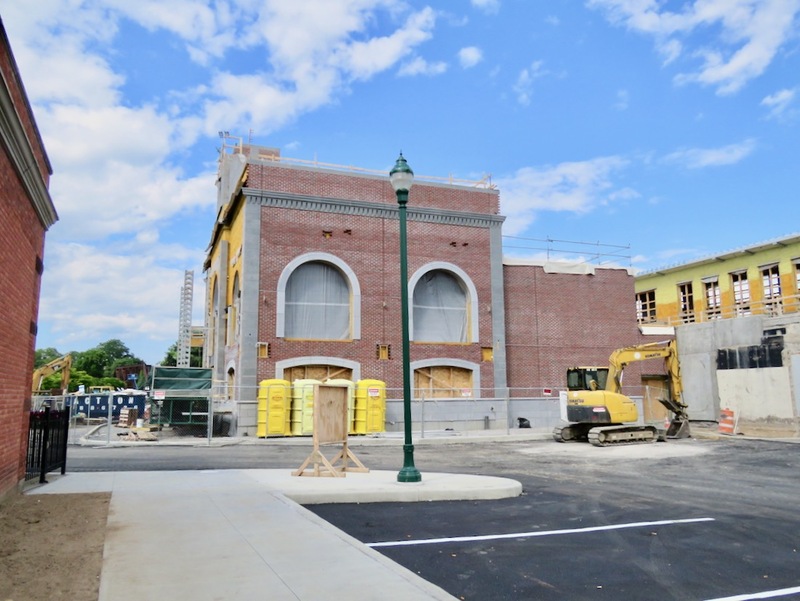 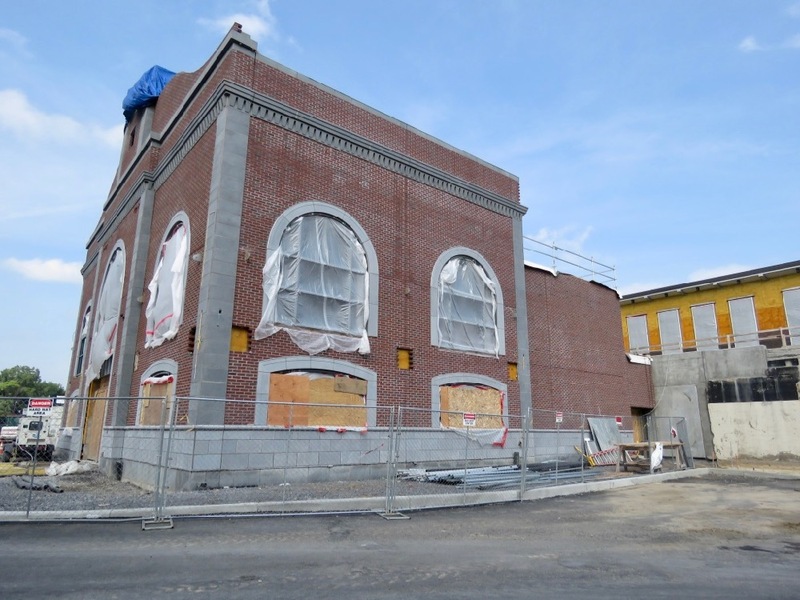 I had hope that the front façade of the Station would be fully bricked when I headed back on July 17, but that may take a few more days. 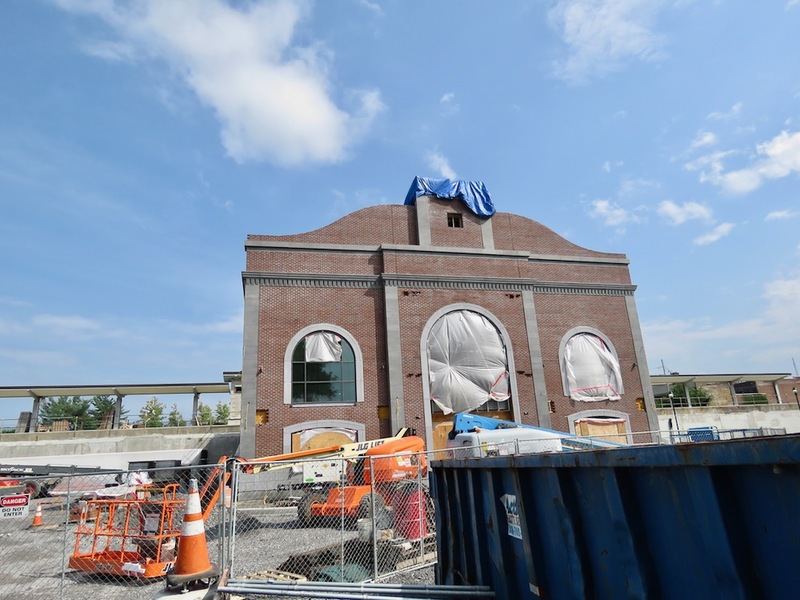 follow-up (August 19, 2018): All brick-facing is apparently complete at the new train station, as you can see from the images in Tiles stacked below, which were snapped on Friday, August 17, 2018. 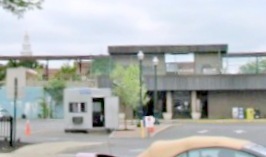 Click on a photo for a larger version.